We recently began working with Steve Pennington from Complete Cambodia. We’ve never met a more passionate individual . . . a man who is trying to make a difference. During the Vietnam War massive amounts of bombs were dropped in Cambodia. They are still going off today, killing innocent Cambodians more than 30 years after the Vietnam War. Complete Cambodia’s mission is to remove those mines from Cambodia by building awareness for this cause. I have been inspired to take action in raising the awareness level, as well as fundraising for what is occurring in Cambodia as a result of America’s actions during the Vietnam war. From the years of 1964 through 1973 over 2 million tons of ordnance were dropped by United States bombers over Cambodia. Presently, men, woman and children are being injured and killed by land mines and unexploded bombs. At a rate of almost 1 per day. Cambodia is by far the most bombed area on the planet to date, and because of that their economy is handcuffed. Land can’t be developed for building roads and schools, as well as farmed. It’s crippling a society. The children seem to be the most affected as they tend to think the land mines are toys, and when they pick them up, they obviously explode. If the organizations that are there don’t continue to get funding and a dialog in this country is not created, casualties of the Vietnam war will continue to occur. The people of Cambodia will never have the ability to thrive as a society and will constantly be living in the face of fear. By creating awareness and doing the fundraising, the people of this amazing country will finally be able to take ownership of their land. They will be able to walk anywhere without the fear of being injured from a land mine or bomb. They will have the ability to build and farm on land that they have not been able to because it WILL be safe to do so. Most of all, as a society, they will start to get complete with something that we as being on the outside, consider history. My intentions are to host a benefit concert to not only fundraise, but to generate more recognition towards this cause. Any help is greatly appreciated on raising the awareness of the Complete Cambodia project. We are thrilled to work with such a passionate individual and encourage all of you to become engaged in his cause. Visit his website at www.completecambodia.com and tell us what you think. 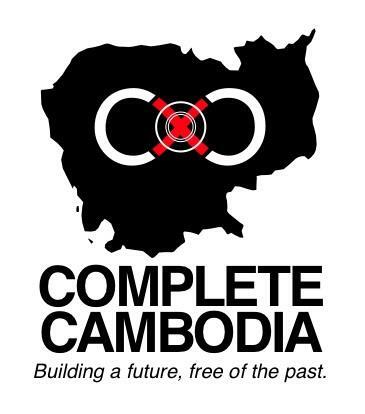 You can also connect with Complete Cambodia on their Facebook page – Facebook.com/Complete.Cambodia, or their Twitter account @CmpleteCambodia. Together we can make a difference. Posted in Our Clients, Partners, People, Website Design and tagged Awareness, Benefit Concert, Bombs, Cambodia, Cambodians, Complete Cambodia, Complete Cambodia Project, Fundraising, Killed, Landmines, Ordnance, Save Lives, Steve Pennington, Unexploded Bombs, United States Bombers, Vietnam War, Website Design.